We all advocate for our patients on a regular basis, but how many of us have blown the whistle on a massive public health crisis? In this segment, Neda interviews Dr. Mona Hanna-Attisha, the Flint, MI pediatrician who opened the world’s eyes to lead in the water that was poisoning Flint’s citizens. They talk about how to become a more effective patient advocate, and how to face situations that feel scary but ultimately benefit our patients. Dr. Mona describes her involvement in the Flint, Michigan water and lead crisis, and inspires us to get involved in patient advocacy by building a village of support. April 2014 Flint, MI switched from Great Lakes water to Flint River water to save money. Community members were concerned but were reassured the water was safe for about 1.5 years. Summer of 2015, more and more reports of water issues were coming out and the possibility of lead in the water which led Dr. Mona to start digging. Dr. Mona tried to get surveillance data about lead levels in children from the county and state public health department; however, they were not forthcoming. They then looked at their EMR data from their clinic, the largest pediatric clinic in Flint, and noticed there was an increase in the percentage of children with elevated lead levels before and after the water switch. To get a larger sample size, they then went through the IRB process to get data from Hurley Children’s Hospital and Medical Center that processed most of the labs in the community and country → again showed an increase in percentage of kids with elevated lead levels after the switch AND no change in lead levels outside the city limits. After the press conference, the very next day the City of Flint issues a health advisory warning. 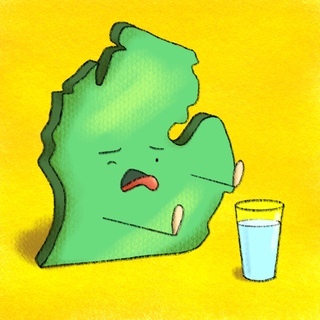 The following month the city of Flint reconnected to the previous Detroit water system and then three months later a federal state of emergency was declared for Flint. Dr. Mona’s book What the Eyes Don’t See describes the story of Flint in the broader context of our role as health care providers to fight for justice , to open our eyes and act on the unseen or things we choose not to see. How to get involved as a clinician? Hanna-Attisha, M. What the Eyes Don’t See. New York, New York: One World.